I’m not usually the type for fast foods but I began catching myself munching my way through a chicken cheese burger from Nandos with crispy chips or indulging in a pizza with the most delicious toppings. There I was, Sunday night with one pizza down .. A belly that looked a couple months pregnant and a lousy , lazy and limp feeling in my body… Rock bottom? Hmm, almost. I was still gyming and doing yoga regularly but to create a summer body in winter and general sense of wellness I needed more which brought me to “Bliss” this Friday. I decided to try out a 3 day juice cleanse to detox and start fresh..Here goes..
6:45 to 7:45am- an intensive spinning class to get those endorphins going !! 8:30am- I made my way to Bliss Juicery to pick up my juices for the next 3 days. A little box with 15 marked juices , 3 antioxidants and 3 detox teas. I took my juices home and stocked my fridge .. I was really excited to start the cleanse and I knew this mindset was important in order to get the best results. The first day was easy and although I had a slight headache and spontaneous hunger pangs I felt an overall satisfaction with the process. Talk about the motions. The second day in my opinion is the most challenging. My morning started off with a deep craving for a takeaway coffee. The smell of coffee is irresistible to me and all I wanted was one sip. Day 2 taught me patience and will power.. In order for any cleanse or detox to work – your mental strength NEEDS to be on point. A headache after breakfast, euphoria after my midmorning snack followed by a 3 hour nap which woke me up to lunch. Although the day was tough, I managed to pull through by taking a 20 minute walk and some meditation. The last day had finally arrived!! I woke up feeling energetic and ready for my day despite how I felt the day before. (The nutrients were obviously kicking in) .. I still had cravings of chocolate, coffee and popcorn. The one thing that really helped me with energy was the antioxidant which was made up of pomegranate and ginger. It picked me up after feeling low and lousy and kept me going through the day. An antioxidant during the cleanse was a great immune system supporter reducing major detox symptoms. I absolutely loved it! 1. A flood of powerful nutrients and vitamins into your body. 2. An elimination of harmful foods such as fermented dairy, wheat or gluten. 3. A no stress eating plan . Everything is tailor made and labeled so that you don’t even have to pre plan your meals . ( This was a huge convenience especially when you’re busy and don’t have time to focus on planning your meals) . 4. Your digestive system gets a rest (stomach, gut and liver). 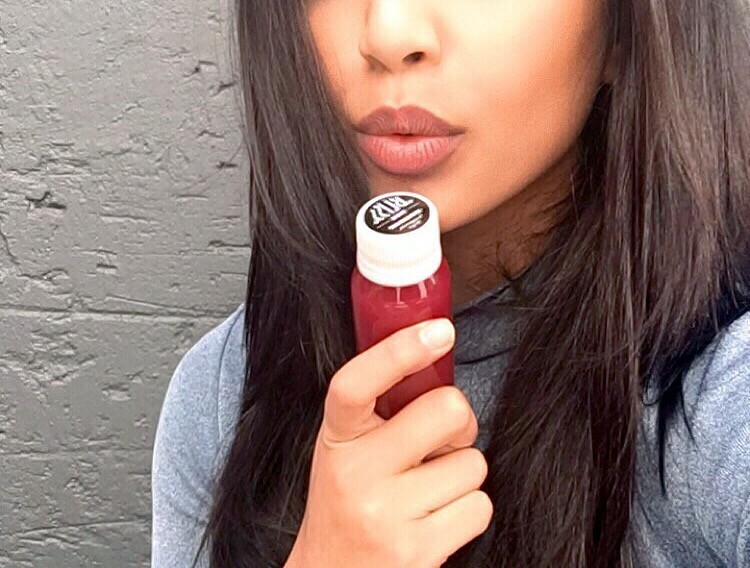 Our bodies are constantly detoxing so a juice cleanse only supports this concept. In order to feel optimum health and allow your body to release the buildup of toxins then a cleanse is a great way to do this as sometimes we pile our bodies with too many toxins for our liver to cope with. 5. A balanced and restored feeling and some mental clarity. 1. Set an intention for your juice cleanse. Having a positive mindset before you start will help you to remain mindful through the cleanse reaping the maximum benefit. Ask yourself: Why am I doing this ? And .. What would I like to accomplish from it? 2. Remain positive. You will begin to have headaches, nausea and fatigue as a part of the detoxing process. Allow your body to respond as its responding and flow through the ups and downs knowing that the only way out is through. 3. Do light exercises like a gentle yoga class, walks and meditate whenever. 4. Do listen to your body. Your body is a representation of your unconscious patterns. By being mindful , you can really know what your body needs and feed or fuel it accordingly. 1. Do the cleanse when there is a lot of things going on in your life. Choose a weekend of time where you can really give your body that break and detox it needs. 2. Drink your juices for the sake of drinking them. Bliss Juices are gently cold-pressed and 100% natural with great tasting seasonal flavors. Drink slowly and mindfully allowing the vitamins and nutrients to flood your body one sip at a time. 3. Overeat or binge after the cleanse. Begin to ease into solid eating. 4. Stress about the outcome. Trust the process instead without overthinking the outcome. The most important lesson the 3 day juice cleanse has taught me is to eat small meals on a regular basis. It helped me to regulate my body and listen to what it actually needs rather than what it wants. It decreased my anxiety and helped clear up my skin. My journey of well-being has been ongoing but I’ve decided to challenge myself for two months to achieve my body and well-being goals. If you live in Gauteng and want to try a juice cleanse then “Bliss” juice is highly recommended. There is an option of 1-day, 3-day or 5-day cleanse. Visit the store at the Colony Centre on the ground floor – 345 Jan Smuts Ave, Craighall or order by calling 0731314006. Please note: you should not take the cleanse if you are under 18, pregnant or breast feeding. If you are taking specific medication or have a medical condition or any other concerns, please check with your doctor first.